January 22, 2018 By Jen This post may contain affiliate links. Read our disclosure policy. 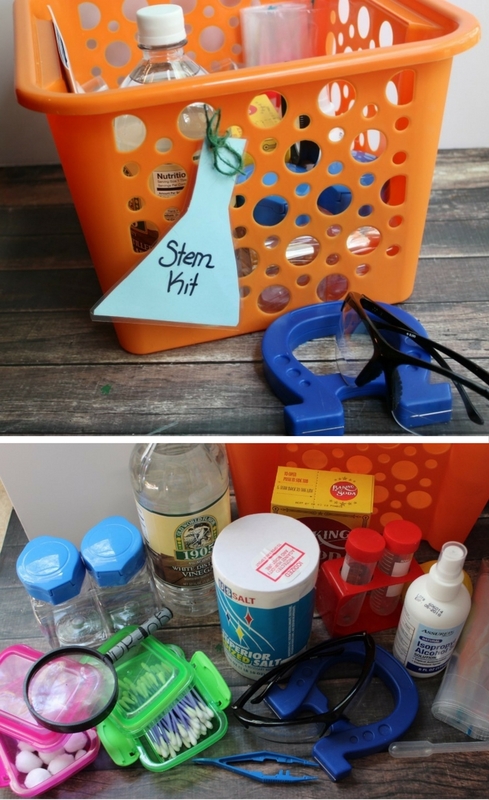 I put together a DIY science kit that is easy and inexpensive for the kids to encourage my little budding scientists at home. This kids idea is from The Taylor House. Be sure to scroll down for the direct link. Be sure to click over to The Taylor House to read more about Encouraging STEM at Home!